If you are someone who loves to explore different recipes from different cultures, or someone who loves African cooking, well I have great news for you. 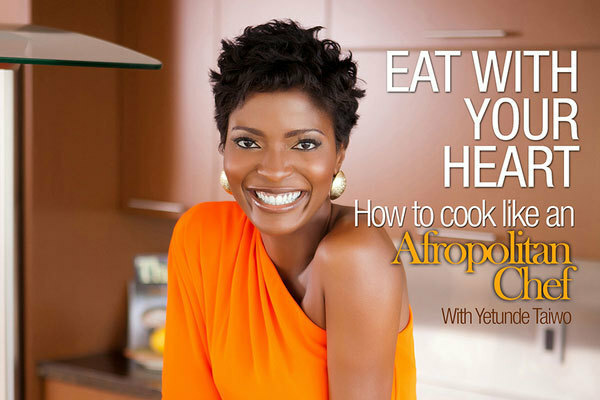 My very good friend Yetunde Taiwo is releasing her very first cookbook called “Afropolitan Chef” Cookbook. Afropolitan Chef Cookbook teaches you how to cook healthy, flavorful, colorful meals using techniques & spices from all over the world, but inspired by AFRICA.I have seen images and I can vouch for her that she knows how to throw down in the kitchen so this book is one for the shelves. She is an independent writer so knowing your stuff is not just enough. Capital helps push dreams forward so you can pre-order recipes or the entire book via her indiegogo site. Check out some pictures of her entrees. Looks yummy right? The awesome thing about pre-ordering the book is that, not only do you get recipes or the e-book or copies of the cookbook depending on how much you put in ($25, $50,$100 or more) but 10% of your $50 or more donations go to the World Food Programme and No Kids Hungry organizations. The World Food Programme is the world’s largest humanitarian agency fighting hunger. No Kid Hungry campaign is ending child hunger in America by ensuring all children get the healthy food they need, every day. Prev Chris Brown and his freckles are SO CUTE! Looks great! Congrats to her.